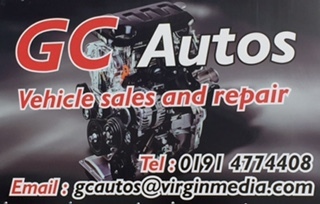 Need a garage in Gateshead to fix the Coolant Change on your SEAT? Save money: Instantly compare SEAT Coolant Change prices in Gateshead to find the best deal. Quick and easy: Simply enter the vehicle registration number of your SEAT and your post code, compare prices, choose a garage in Gateshead and book your Coolant Change. Speak to an expert mechanic: If you need to speak to a mechanic about your SEAT, call one of our experts today on 03304 004439. "Very happy with the service I received"
"Just bought a car with full service history. For my peace of mind, I went to MotorServ for a health check. I was more than pleased whith the amount of checks on my car. They covered all the aspects I was worried about. And everything was explained in detail. Keep up the good work, guys. You got yourself a new happy customer." "Happy with work carried out"
"Really friendly guys and kept me posted - will certainly be back!" "Very professional job. A thorough inspection was done and a video provided. They had no problem to change the spark plugs which I bought. Thank you." "Very happy with continued service and quality of work"
"They picked me car up, did my MOT in good time and brought it back to me. Can't fault this garage, they're brilliant." SEAT is a Spanish automobile manufacturer that was founded back in 1950 by the Instituto Nacional de Industria, a state-owned industrial holding company based near Barcelona. Currently a subsidiary of the German Volkswagen Group, this Spanish company is known for producing cars for a sportier, more youthful demographic. Producing cars and other vehicles using the Volkswagen platform has helped the Spanish brand build a reputation as makers of reliable, high-quality products, too. SEAT has a variety of vehicles across the spectrum - from SUVs and crossovers to city cars and estates. They also offer some off-road cars with the Leon X-Perience, and a very spacious Alhambra that seats seven and offers great value for money. The SEAT Ibiza is a supermini with good looks, a good engine and a lot in common with its Volkswagen rival, the VW Polo. It was updated by SEAT toward the end of 2015 with a new high-quality interior made of better materials than its predecessor, and with a new “infotainment” system that works with the driver’s smartphone to easily display apps. Known for being easy to drive with a lovely gear change, light steering, and a very adaptive clutch, the Ibiza’s steering and suspension also had an update last year in hopes of improving the road quality of the car, making it more stable and a little more fun too.